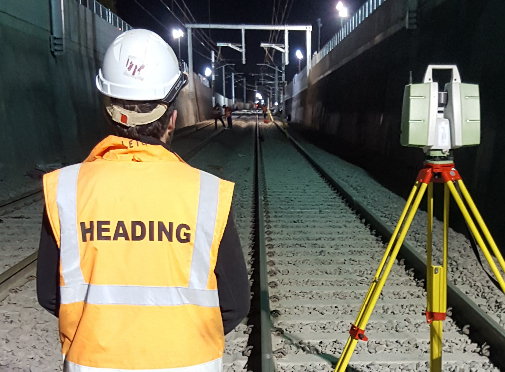 Heading & Associates is one of Australia's leading Surveying Group specialising in Survey, Construction Supervision and Project Management, Property and Environmental Survey and Design applications. Maurice Heading is the director and founder of Heading & Associates, who has an extensive work history and proficiency in a hands on approach to all areas of the business. For over a decade, we have forged a reputation for delivering strategic solutions for our clients and their end-users. We work with our clients to bring their vision to life by taking a multi-dimensional approach by focusing on our customer, their budget, environment, the market, and the future. We are driven to succeed, working in a spirit of partnership with our clients to offer unrivalled quality in service, product and solutions. We service many companies nationwide, and there are no boundaries to where our work takes us. Our team of highly experienced staff are dedicated to providing a superior quality of workmanship, utilising up to date technology to improve results and customer satisfaction. Heading & Associates currently employs a multitude of professionals in the field, ranging from Surveyors, Engineers, Survey Draftsmen, CAD Operators and Survey Assistants. Our survey office comes fully equipped with total stations, computer hardware and software, together with a broad range of knowledge, expertise, practical experience and our highly skilled surveyors. Our Vision: Lead by example. Integrity is everything – what we say is what we do. Offer high performance and deliver on commitment. Achieve outstanding solutions for all stakeholders. Conquer new boundaries.